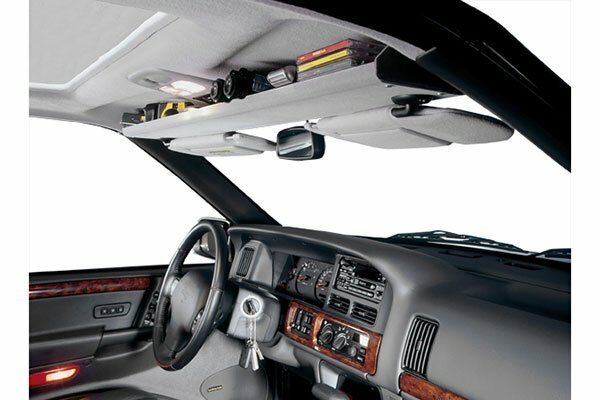 The VDP Overhead Storage Shelf is custom-made to keep your pickup's cab free from clutter. This truck shelf saves precious cab space by giving you room to store CDs, binoculars, maps and more. And, it's made sturdy and comes in factory colors to match most interiors. The standard VDP Overhead Storage Shelf grants ample space to store gear. What's more, this VDP truck shelf is a cinch to install-no drilling required. 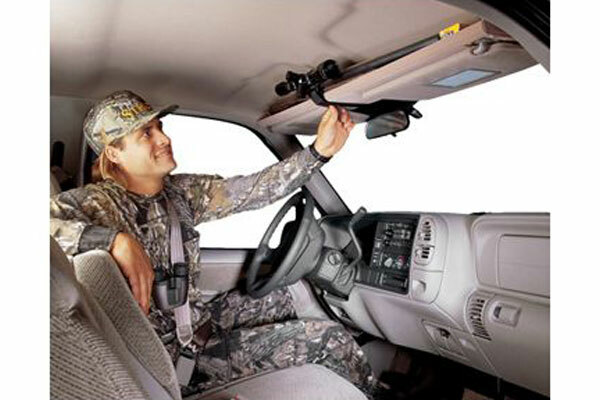 It fits into existing sun visor holes and holds steady, thanks to a sturdy construction. Choose your VDP truck shelf in light grey, tan or black. Backed by a 1-year warranty. This product was perfect for mounting a CB and the added storage is a benefit as well. 79 GMC pickup. The instructions are hard to read due to numerous photocopies. The shelf installs fine. However, if you reinstall the sun visors they won't function right due to hitting the rearview mirror. Great product easy to install looks great and is very sturdy. Reference # 753-361-198 © 2000-2019 AutoAnything, Inc.